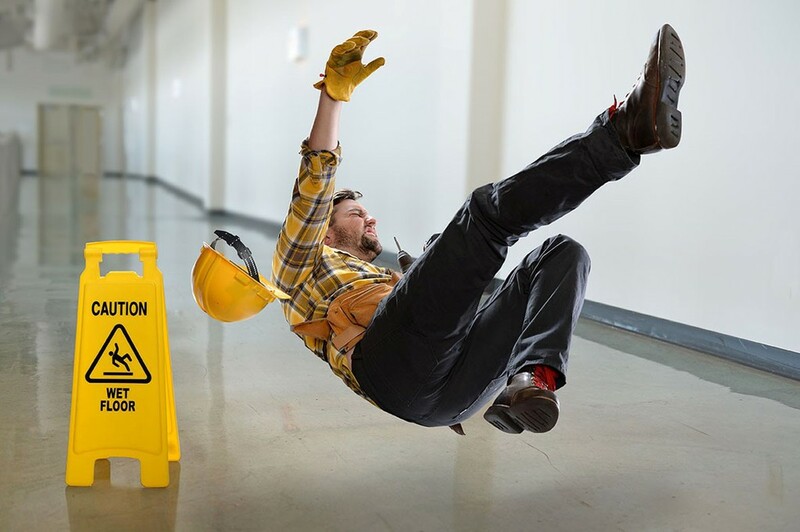 Slips, trips, and falls remain one of the most significant occupational risks in many industries. The HSE has suggested that the cost of slips, trips and falls to employers is more than £500million per year and that the cost to society could be over £800m (HSE, 2017). Dr Kerry Walsh and Dr Calvin Burns of the University of Strathclyde’s MSc in Safety and Risk Management programme, argue that taking account of the quality costs associated with slips, trips and falls, can offer an alternative approach to reducing the number of such incidents. Quality costing is a management technique that provides organisations with the costs of quality achievement and the consequences of not taking action. Quality cost measurement is essential for helping organisations to reduce costs by identifying the excessive costs of poor quality, waste and non-added activities. Traditionally, organisations have relied on legal costs to assess the cost associated with such incidents, but have also considered the cost to reputation through for example complaints. The prevention of slips, trips and falls is an important management responsibility but many organisations have little knowledge or understanding of the total quality costs associated with such incidents. A quality cost approach suggests moving away from charts and tables which have not contributed to the learning process of organisations and individuals therein (Walsh, 2009). It can provide vital information for management to be aware of the size of the problem and areas for potential improvement by indicating which quality costs need to be reduced and where more investment in prevention could produce savings. External failure costs: Costs occurring after delivery of the product, and during or after furnishing of a service, to the customer. Examples are the cost of processing customer complaints, customer returns, warranty claims and product recall. An example of a quality costs approach comes from Walsh (2009), who applied this approach to 12 patients following a fall in hospital. The patients had to have surgery to fractures of the femur which were estimated to be £137,424 to one acute hospital site in Scotland. These estimated quality costs were allocated to each clinical, managerial activity in order to estimate the total costs for one patient’s experience. The quality costs associated for a geriatric in-patient assessment for one patient incorporating drug, medical, management, nursing, capital charges and accounts were estimated at £234 / day. Such a patient would require approximately 14 days rehabilitation, thus equating to £3,276. A quality cost for an orthopaedic patient for in-patient treatment and care, including drugs, medical management, nursing, theatre staff, capital charges and accountants were estimated at £584 / day. For 14 days of care, these costs were calculated at £8,176. Despite this there are no measurements or consideration to the emotional distress to the patient and family. This is also not taking into consideration the potential litigation or complaints raised against any organisation where the slips, trips or falls may have occurred. Can other industries learn from the quality costs approach in healthcare? The construction industry for example is one of the world’s largest employers, but it is also the world’s most dangerous industry (Conchie & Burns, 2009). The European Agency for Safety and Health at Work (2017) has estimated that around 1300 construction workers are killed each year, which is more than twice the average of other sectors. It has also identified slips and trips, and falls from heights as being among the main occupational hazards in the construction industry. By identifying common factors associated with slips, trips, and falls, like inadequate training, inappropriate footwear or other PPE, and perhaps even the use of some sub-contractors, construction firms can calculate the cost of taking action or not taking action in order to reduce such incidents. This could help bring about a step-change in the safety culture of the construction industry.